After the storm of the century rips apart New Orleans, sixteen-year-old Adele Le Moyne and her father are among the first to return. Adele wants nothing more than to resume her normal life, but with the silent city resembling a war zone, a parish-wide curfew, and mysterious new faces lurking in the abandoned French Quarter, normal needs a new definition. Strange events even for New Orleans lead Adele to an attic that has been sealed for three hundred years. The chaos she accidentally unleashes threatens not only her but also everyone she knows. Caught in a hurricane of myths and monsters, Adele must untangle a web of magic that weaves the climbing murder rate back to her own ancestors. But who can you trust in a city where everyone has secrets and keeping them can mean life or death? Unless you re immortal. 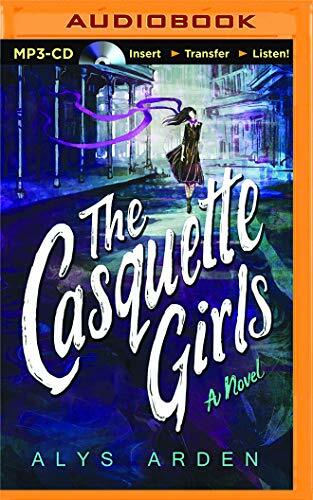 Revised edition: This edition of "The Casquette Girls" includes editorial revisions."